In my house, we have two sets of Christmas presents. Main presents are thoughtful / more expensive and handed out after breakfast and then there's 'tree presents' which are gifts from the tree which are novelty and cheaper. Think make up wipes, chocolate coins, individual nail polishes etc. There's never a lot, a handful for each of us but it keeps Christmas day going that little bit longer. These sort of presents come under stocking fillers and secret Santa too so you get the idea. House of Fraser have a nice Christmas campaign launching this week, your Christmas, your rules. Meaning you don't have to conform to tradition and you make your Christmas your own. Like our tree presents, I don't know anyone else that does that but I love it! So if you want to stick a £50 make- up palette in a stocking, then go for it, that's awesome or if you want to get up at 6am and eat a box of chocolate for breakfast then why the hell not? So I guess I’m a bit of both, I like traditional Christmas gifts but I know it wouldn’t be the same without ‘jokey’ presents too. 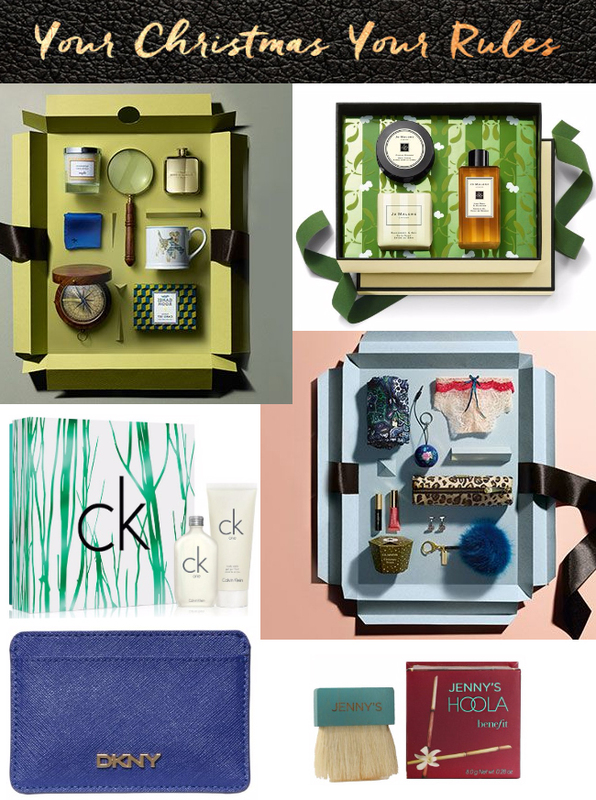 Check out the House of Fraser Novelty Vs Classic Christmas Gifts here. In collaboration with House Of Fraser. OOh I've been looking for a card holder like that, and that is such a pretty colour :) I'm deffo a bit of both!